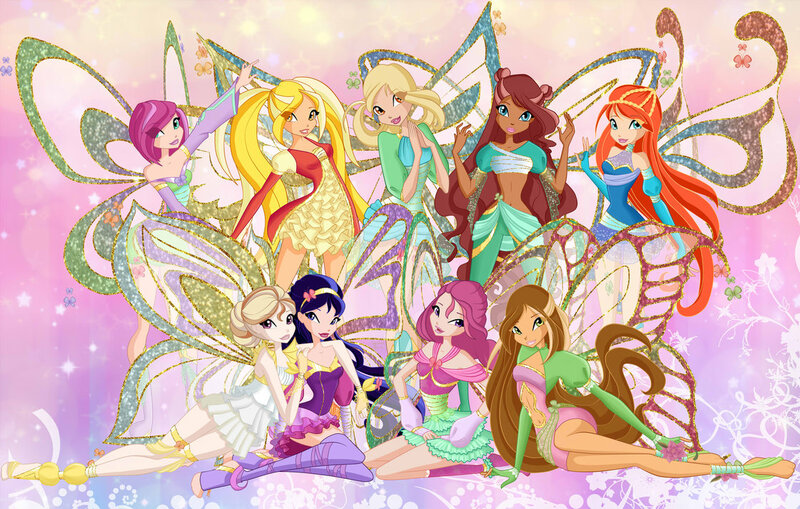 The Winx, Roxy, and Daphne. . HD Wallpaper and background images in the Winx Club club tagged: photo winx club bloom stella flora musa tecna aisha roxy daphne. UNIQUE!! Darcy & Bloom - "I can't lose wewe again..."
Is that Galatea next to Musa? I always liked her.